You need Java-Script be switched on, for the navigation of this page. We recommend to use Mozilla-Firefox for best performence. Discover our Ultimate Luxury updated Listing. with lavish facilities and fulltime concierge. 5-star accomodation and majestic moorings. 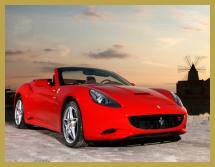 enjoy our exotic sports cars. with the real VIP Concierge Services. our MICE department has the resources to provide a long lasting impression. the worlds most exciting Beach Clubbing scene. The Worlds Most exciting Clubbing scene. a Private Bachelor or Bachelorette Party.